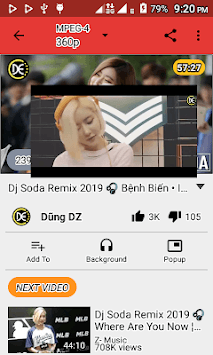 SmartPlay is a simple, lightweight and easy to use free application that helps you to listen and search your favorite videos. This application does not download YouTube videos. The app doesn’t download, monetize, or access YouTube videos in a way that violates the YouTube Terms of Service. This app is Free Software: - an other brand of NEWPIPE - disable some function to follow Google policy. You can use, study share and improve it at your will. Specifically, you can redistribute and /or modify the terms of the GNU General Public License as published by the Free Software Foundation, either version 3 of the License, or (at your option) any later version. I would like to say THANK YOU for NEW PIPE team for your approval to use your source code. 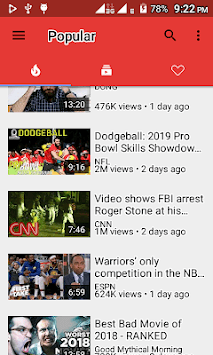 SmartPlay-SmartPlayer does not use any Google framework libraries, or the YouTube API, using Youtube video player for play video.